Twenty-something Kailyn Wilde has learned to embrace her unpredictable life as a descendant of small-town New Camel's most magickal family. She just didn't expect to inherit her mother and grandmother's centuries-old shop, Abracadabra, so suddenly. The surprises keep coming when Kailyn goes to finalize the estate at the local attorney's office—and stumbles over the body of her best friend Elise's husband . . .
As a brash detective casts the blame on Elise, Kailyn summons her deepest powers to find answers and start an investigation of her own. What with running a business, perfecting ancient spells, and keeping up with an uninvited guest of fabled origins, Kailyn has her hands full. 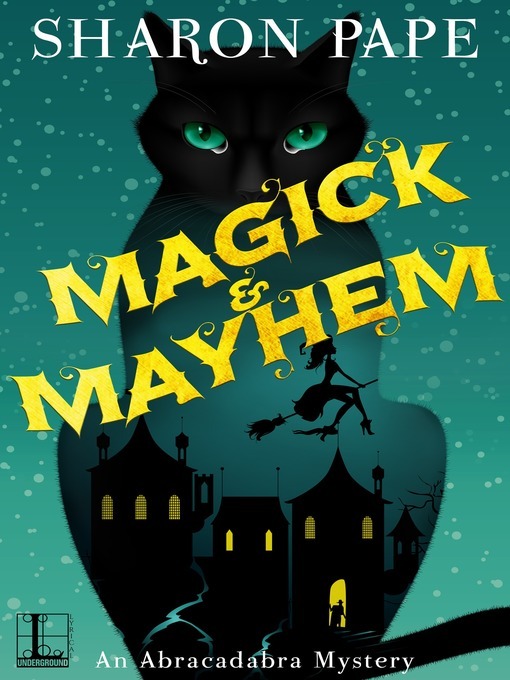 But with the help of her uncanny black cat Sashkatu and her muumuu-clad Aunt Tilly, she's closing in on a killer—who will do anything to make sure she never tests her supernatural skills again!